The re-enamelling of a cast iron bath is a very specialised process. There are some companies that advertise and offer a home 're-enamelling' service, but this is not genuine vitreous enamel and is in fact a type of paint. Genuine vitreous enamel is a type of glass, which is fused at high temperatures to achieve its unique combination of hardness and durability, which is unmatched by other finishes. Re-enamelling will involve shot blasting your bath to remove the existing damaged / worn enamel. It will then be coated with up to three layers of vitreous enamel. Each layer will be fused to the surface by heating in a furnace to a temperature greater than 750 degrees centigrade. It is this genuine vitreous enamelling process that gives the quality and long-life expected of a cast iron bath and returns it to its former elegance. 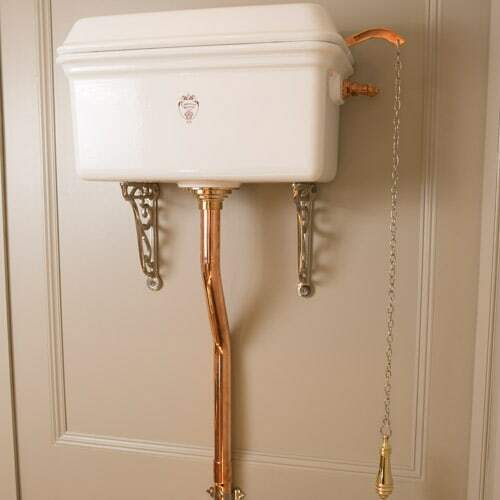 Kingfisher can apply the vitreous enamelling process to any cast iron bathroom equipment, such as cisterns or sinks.